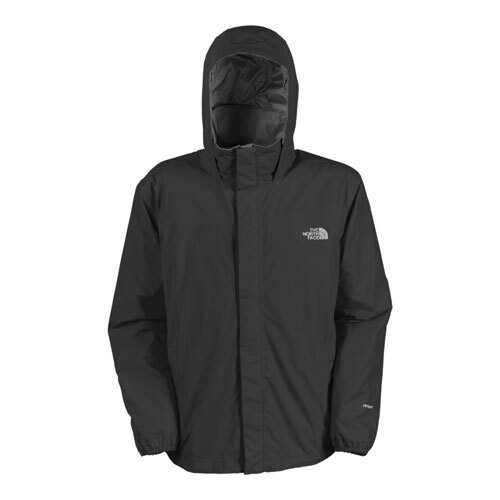 Visit The North Face's Men's	Resolve Jacket page. 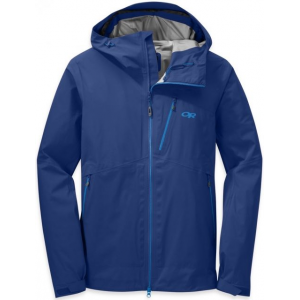 Buy yourself some backcountry travel insurance with this waterproof and lightweight Men's Resolve Jacket from The North Face. It features waterproof and breathable two-ply nylon HyVent fabric with seam-sealed protection. The North Face created their Resolve Jacket with a standard fit construction, so it's roomy enough to accommodate a fleece inner layer without constraining your mobility. 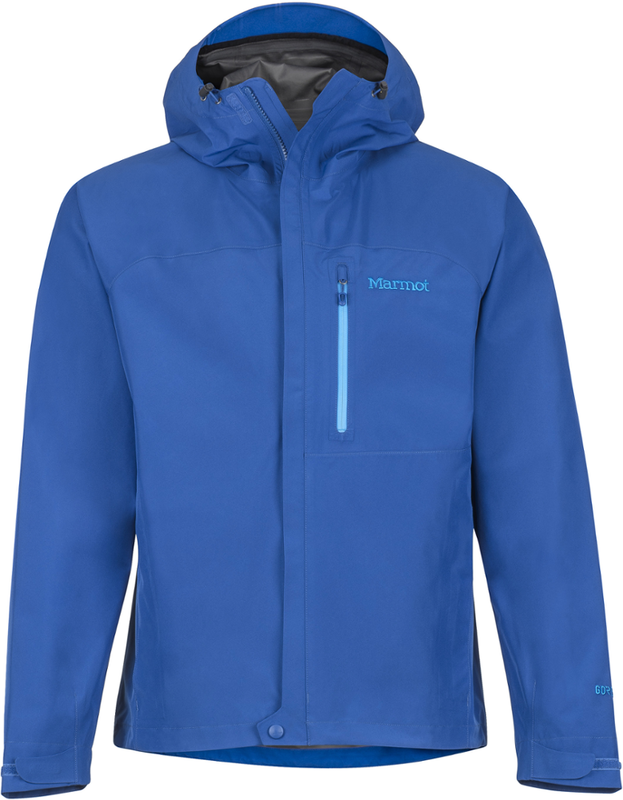 This waterproof rain jacket doesn't have any insulation, but there is a mesh lining and a brushed collar for improved comfort over unlined and potentially-clammy rainwear. 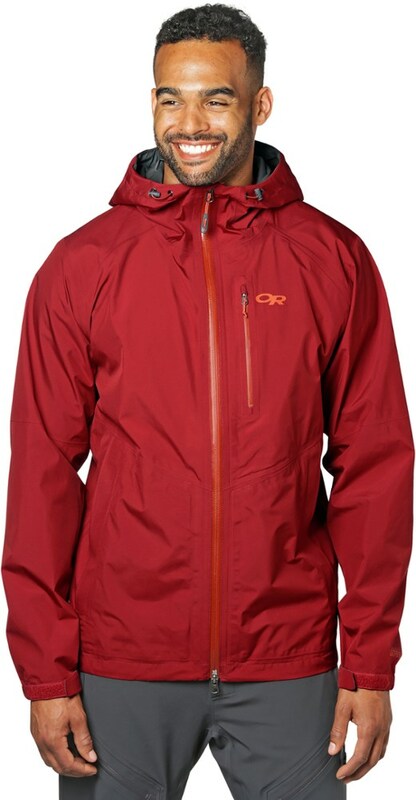 Up top on the Resolve Jacket is an attached and fully adjustable hood that stows inside the collar on clear days or whenever you opt for a rain hat. The North Face added generous proportions to this hood, so it easily accommodates skiing, climbing and snowboarding helmets with minimal fuss. If you live in a place where every day is clear, blue, and perfect, don't bother looking at this jacket. 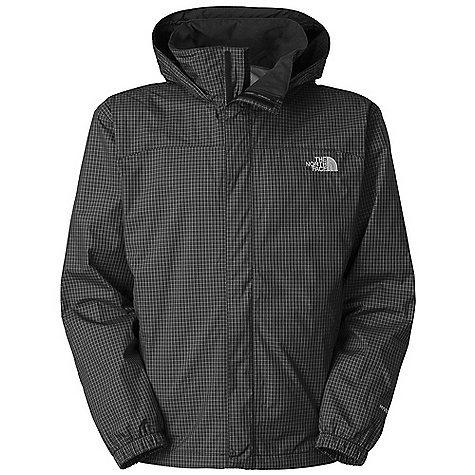 Those of you who live on Earth may want to check out The North Face Men's Resolve Jacket. 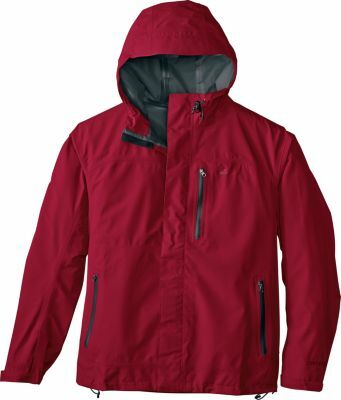 The North Face used HyVent, a waterproof and breathable fabric, to make the Resolve as comfortable as possible on those days the sun decides to pull a no-show on your hike, trail run, or backpacking trip. And if it does make a surprise appearance, just stash the Resolve in your pack without having to worry about it taking up too much space thanks to its stowable design. Those long treks into the mountains often leave you at poor odds of making it back without running into rain. No need to fear, when you take the Resolve with you. 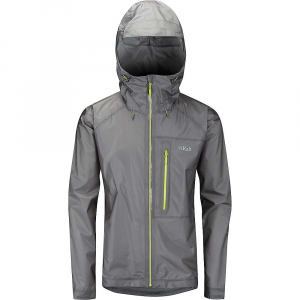 It's made of HyVent 2L, a waterproof, breathable, seam-sealed, two-layer shell with a mesh lining. The hood is attached and fully adjustable, stowing away in the collar when not needed. There's a stormflap with Velcro tabs in the front, adding extra protection to the zipper area. It also comes with covered, secure-zip hand pockets, elastic cuffs and a hem cinch-cord.